WHAT IS A LOGIC BOARD REPAIR? The Logic Board Repair Specialist > Blog > WHAT IS A LOGIC BOARD REPAIR? What is a logic board repair? You may be wondering what a logic board is right. Also, know as the motherboard. Like the name suggests it is the mother of all boards where every other board like daughter board and IO board connect to. Logic Board is the main PCB (printed circuit board). Found in all computers, laptops, tablets and smartphones today. Logic Board holds and allows communications between many of the crucial electronic components of a system, such as the CPU processor. Memory and GPU graphics. Logic Board also provides connectors for other peripherals. Which can be attached to the main logic board. Unlike a backplane, a logic board usually contains significant sub-systems such as the central processor, the chipset’s input/output and memory controllers, interface connectors, and other components integrated for general purpose use and applications. 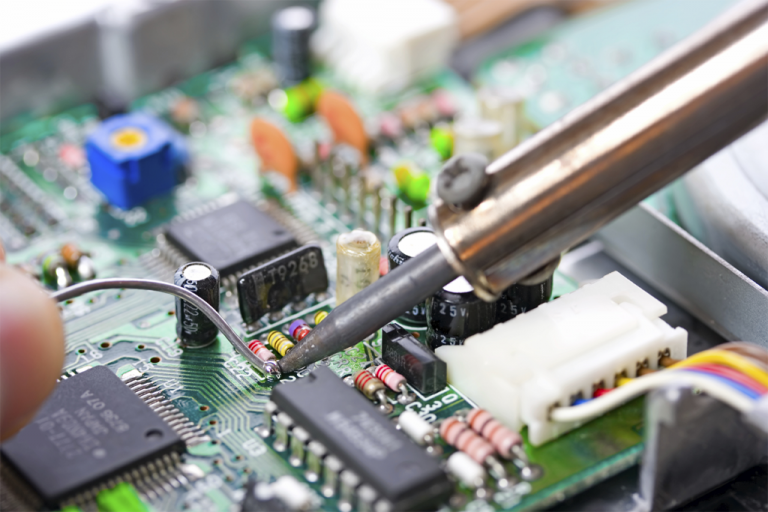 Logic board repair requires a specialist to read, diagnose, fault find and inspect all microcomponents on the PCB. Because of the logic board repair being very technical due to the size of its components and its scale. It is recommended a logic board repair specialist shall only attempt this logic board repair. LOGIC BOARD REPAIR VS LOGIC BOARD REPLACEMENT. The replacement cost of many logic boards is high cost. Logic Board manufacturing, engineering and design costs outweigh any other component. Majority of the testing goes into logic board and engineers constantly revise the design aspect of the logic board. Thermal cooling, pcs data lines, transistor, power lines all have to work without a beat. If any aspect of the logic board fails than the device fails. Logic Board repair is estimated to be 1/4th the price compared to replacement. Which is why many APPLE and Samsung customers can get their MacBooks, iPhones, tablets logic boards repaired. Logic board repair also saves the environment. LOGIC BOARD REPAIR FOR ALL DEVICES. Any device that has a logic board can be repaired. Logic board repair is sometimes as simple as changing a fuse, backlight IC, capacitor or transistor. More complex logic board repair is when the CPU, GPU or Memory modules fail. Logic board repair is especially viable if you need your data recovered from your device. For all your logic board repairs why not contact the Logic board repair specialist GadgetFix today.